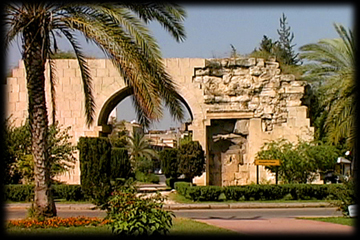 You walk with Paul across the Taurus Mountains to spread the “good news” in thirty-five fabulous cities of the Roman Empire. 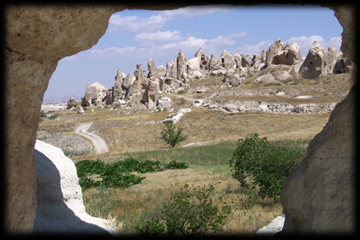 A complete understanding of the geography of Paul’s world is brought about by the filming of the caravan routes and sea routes used by Paul to travel from place to place. 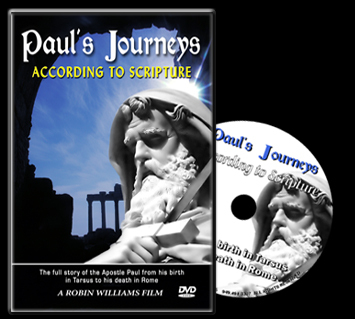 Paul’s Journeys is definitely a classic and recommended for family viewing, bible study groups, Sunday school classes, senior citizens, and youth ministry outreach programs. 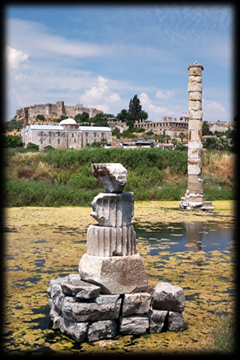 We visit: TARSUS, ANTIOCH, ATTALIA, PERGE, SIDE, ASPENDUS, PISIDIAN- ANTIOCH, ICONIUM, CILICIAN GATES, CAPPADOCIA, HIERAPOLIS, LAODICEA, APHRODISIAS, EPHESUS, SARDIS, PERGAMUM, TROAS, TROY, NEAPOLIS, PHILIPPI, THESSALONICA, BEROEA, ATHENS, CORINTH, CAPE SOUNION, ASSOS, MILETUS, DIDYMA, CNIDUS, RHODES, PATARA, MYRA, CRETE, PUTEOLI, VIA APPIA, ROME. - The Rev. Alan R. Rule, St Mary’s Episcopal Church, Daytona Beach, Florida.